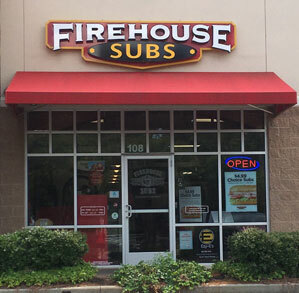 Having a clear-cut understanding of the small business loan process was something that Cindy Tirinato had been looking for since she decided to open a second Firehouse Subs location in Tega Cay, South Carolina. After a referral to Stearns Bank from Harbor Capital, her dream of owning a second location started to come together quickly. Cindy worked with SBA lender Brett Hucka and appreciated how open the communication was between them. “We had an approval within a day after we started working with Stearns Bank,” Cindy said. “There was just an ease of getting through the SBA process with Brett." Cindy took advantage of the SBA online portal to upload her documents at her own pace. She also followed a checklist to see what exact documents were needed by Stearns Bank to complete her approval. Cindy had previously worked with another financial institution on an SBA loan and came away with a completely different experience with Stearns Bank. “When I was working with a previous financial institution it was kind of like working with someone who was always flying by the seat of their pants. We were all set to close and then said I needed certain documents out of nowhere at the last minute. I had to delay the closing by six weeks because of it. I never understood what was needed of me. Cindy’s second Firehouse Subs location opened in late October 2018. Without Stearns Bank, her dream of opening another franchise location wouldn’t have happened.